Heating up the Kitchen in More Ways than ONE! Hellooooo there! 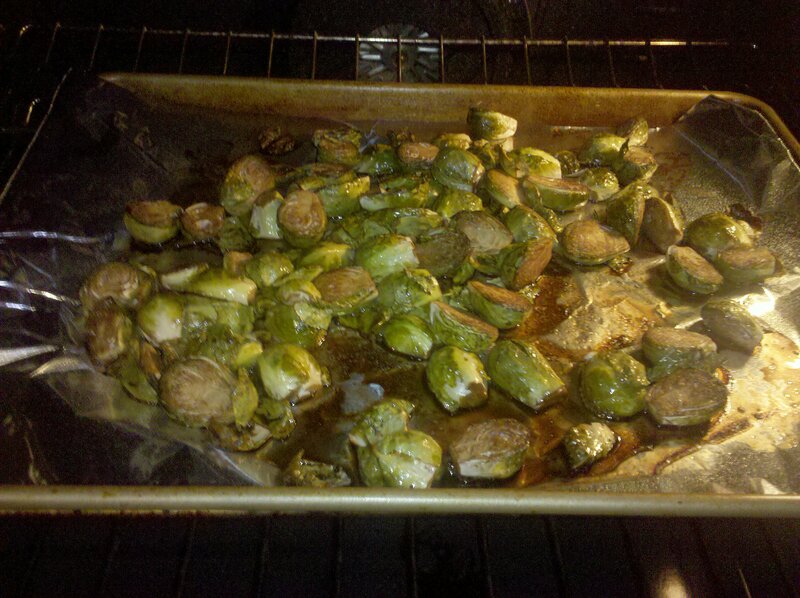 So I just HAD to share one of my creations from the kitchen last night as I rarely have anythign good to share in this deaprtment- ya’ll know that I’m just not a great cook 😉 Example: I needed to have Sabrina walk me through the process of making roasted brussel sprouts via text. Yea. I’m cool. Anywhooooo I needed to make something for the final meeting of my Yoga in Action Group at Shanti Yoga Shala (with Shiya)-more to come on this, by the way. So one of the wonderful girls in my group is vegan, so I had to get creative! 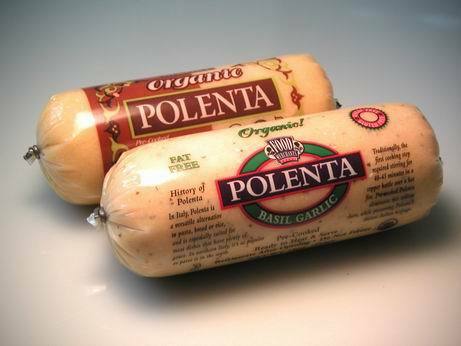 I had bought polenta to try out after seeing Tina’s yummy looking polenta pizza. Now, I’m not always the sharpest tool in the shed when it comes to dietary issues, but I knew vegans couldn’t have cheese, so I made my own variety in bite size pieces for easy eating sans cheese! So, I used a tub of polenta similar to the one above (source). I cut it into about 1/2 inch slices as directed. I preheated the oven to 375 while prepping. I then layed the slices out on an ungreased baking sheet lined with aluminum foil for easy clean-up. 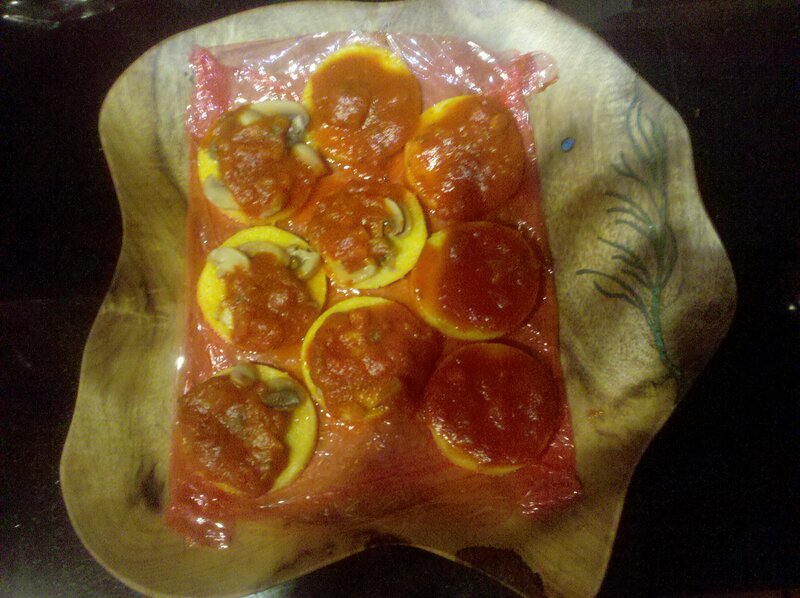 I topped the polenta slices with mushrooms and then garden tomato sauce…yum! I baked them for about 15 minutes, and here is what I got! Note the beautiful natural wooden serving piece we got from our wedding! Very yoga-like, no!?!? 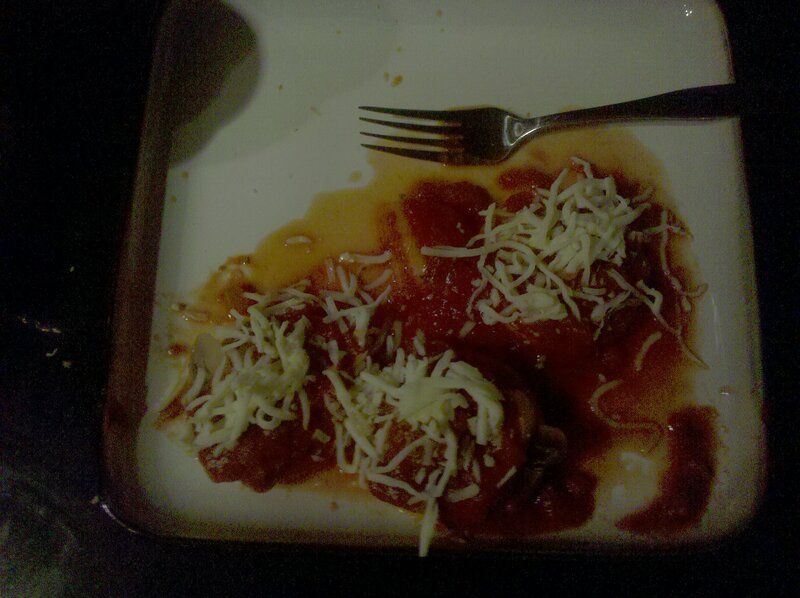 I had some of these babies for dinner but opted for some cheese on top! Holy YUM! So unfortunately the other “heat in the kitchen” variety came from a much less enjoyable place…my shoulder. I have been having moderate to severa (at times) shoulder pain and it will not go away. BOO. I went to have it looked at a few months ago and didn’t get much of a definitive answer other than “massage therapy” which I have NOT gotten around to…It was also suggested that I get it x-rayed…also dropped the ball on that. Anywhoooo last night I tried heat therapy. These Thermacare pads are great. They heat up quickly, last 8 hours, have adhesive, and are flexible. What more could you ask for? 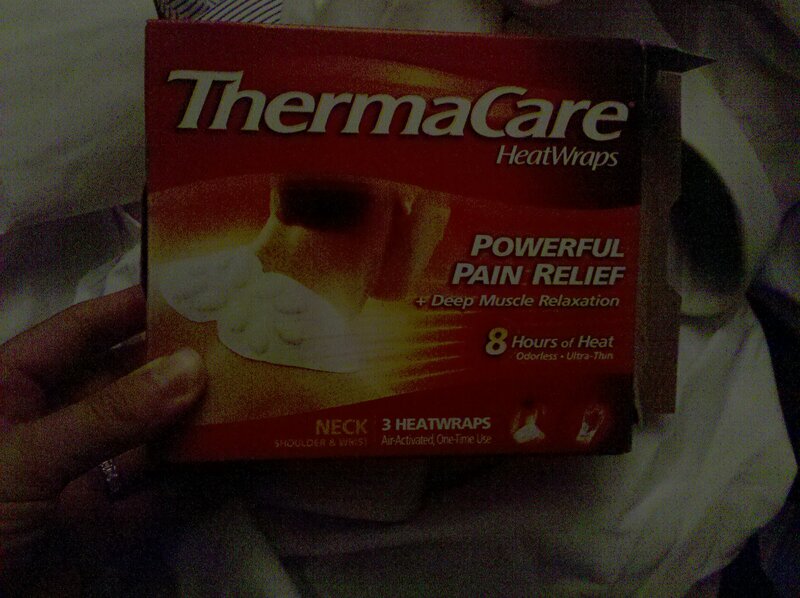 Well apparently while these things look promising, they did NOT help my shoulder. I am going to try ice tonight. I will keep you posted. Has anyone had a shoulder injury before? What was it like and how did you heal it? YUM! I love polenta! It’s a great alt to rice for some of my dishes. I need to try that. 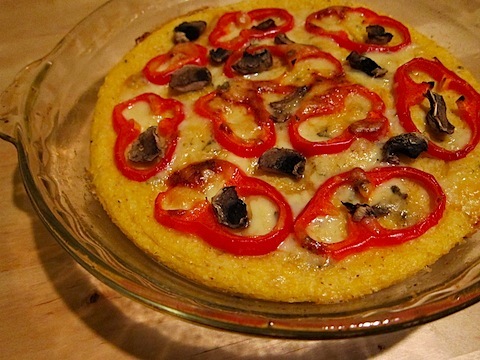 That polenta pizza looks awesome!